A designer and manufacturer of unique movements, Pierre DeRoche cultivates rarity. Mechanical jewels of this kind require infinite patience with each detail, no matter how tiny, receiving meticulous attention. And this does not include the long months of research and testing, nor the interminable nights when everything goes back to square one in order to attain the level of perfection to which Pierre Dubois, the brand’s CEO, aspires. As this modus operandi is respected at all times and as Pierre DeRoche does not design watches so much as living timepieces injected with their creator’s soul, only a few hundred watches leave the brand’s workshops each year. 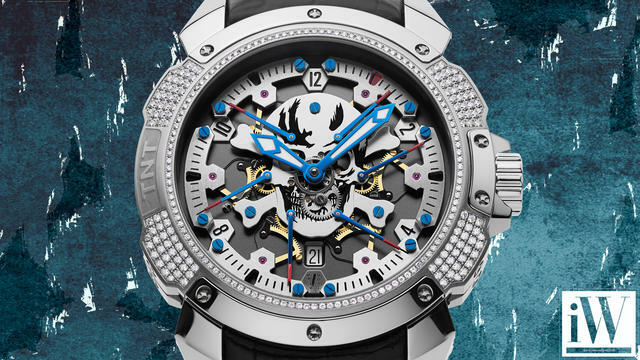 iW Magazine's Watch of the Day is the Pierre DeRoche TNT Royal Retro Skull.